When a dentist talks about your “bite,” she’s referring to your occlusion, which means how your top and bottom teeth fit together. Optimal occlusion occurs when opposing teeth come together in their ideal arrangement. But when your teeth are misaligned, called malocclusion, a whole host of issues can result, including headaches, jaw pain, the wearing away of tooth enamel, and even cracked or loose teeth. The Right Smile Center helps you achieve beautiful, healthy smiles – the right smile. 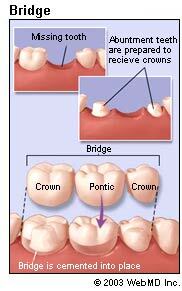 And optimal teeth alignment is a crucial component to the right smile. I promise you, you can’t have a great smile if your teeth, gums, joints, and muscles don’t function in harmony with each other. And the prosthodontic training I received at Emory University School of Dentistry allows me to give patients smiles that look great, feel great and function properly. During your exam, our team will look at how your top and bottom teeth come together when you bite down. We also assess the wear patterns on your teeth. And of course, we are going to make recommendations that help your smile be a proud part of your expression. Another term for this, equilibration, means restoring optimal contact between upper and lower tooth surfaces to prevent the abnormal wear and tear on your teeth, joints, and muscles. 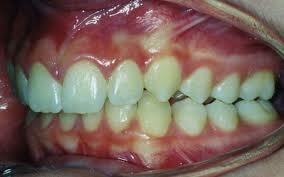 Oftentimes, a slight adjustment made to the surface of a tooth makes a huge impact on occlusion. Also, with the addition of Dr. Hanna Orland to our practice, we are now offering in-house orthodontic treatment to adjust your anterior (front) teeth with clear aligners. So, if we can be of service please feel free to contact us for a complimentary consultation. Prosthodontics: (derived from the word prosthesis, ergo crown, bridge, and implants) A Prosthodontist has a dental specialty license pertaining to the diagnosis, treatment planning, rehabilitation and maintenance of the oral function, comfort, appearance and health of patients with clinical conditions associated with missing or deficient teeth and/or oral and maxillofacial tissues using biocompatible substitutes. Most dentists are not trained prosthodontic graduates of a dental school – rather they take short continuing education and utilize trial and error experience to be able to understand how size, shape, color and symmetry all work together to create what a prosthodontist is trained in their post graduate work. 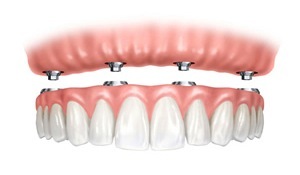 Contrary to this hit or miss self-anointment, the prosthodontist is trained at an ADA approved university to create the smile that implements the use of veneers, crowns, bridges and the increasingly more common procedure of dental implants to ensure that the right smile is achieved, both functionally and aesthetically. 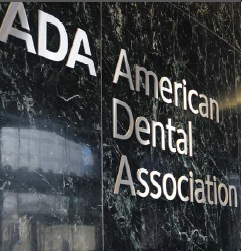 If anyone has a specialty in implant dentistry or the right to call themselves an ‘implantologist’, it would be the ADA sanctioned prosthodontist. Of the 170 thousand dentists in the U.S., less than two (2%) percent are trained prosthodontists. So when you are seriously looking for a cosmetic dentist to provide you with the best implant result, look for a prosthodontist. Dentist Sandy Springs: How Much Do Dentures Cost? The cost can vary depending on where you live and your needs. A Prosthodontists’ prices are typically between $900 to $3,500 per upper or lower arch. While a general dentist fees are usually $300 to $1,200 per arch a good percentage of the time you get what you pay for. A prosthodontist is specially trained to provide you with both a functional and esthetically pleasing denture. This can be a painstaking job depending on the condition of your mouth’s bone structure. So it’s not a matter of sticking a pair of slicks in your mouth and sending you off to eat corn on the cob. The proper fitting of a denture usually requires follow-up visits to determine the actual results after use in the mouth. When properly fitted, dentures can provide a great smile with a very natural appearance. In addition, with the advent of implants, many dentures can be implant supported such that your biting power is considerably increased. With implants supporting them, dentures may correct several problems, from speech to chewing, for many patients. In addition to retarding bone loss, mouth irritation or sores may be avoided with implant supported dentures. So when there are irritations they are usually caused by poor dental hygiene, and not removing your dentures when needed. It is common that your mouth changes over the life of your dentures, so even though they last long, as the bone structure changes they may need to be replaced to achieve a better fit before they are worn out. If you are a new patient, we recommend x-rays to determine the present status of your oral health and to help identify changes that may occur later. They give us a baseline of your present condition. A new set of x-rays may be needed to help us detect any new cavities, determine the status of your gum health or evaluate the growth and development of your teeth. If a previous dentist has any radiographs of you, we may ask them for copies. Dental x-rays are used to diagnose or detect tooth decay, impacted teeth, jaw problems, abscessed (infected) teeth, or current filling placement. 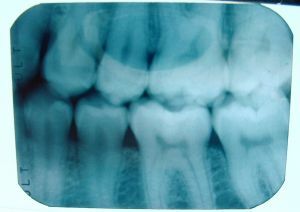 An x-ray exam can help us see the small areas of decay between the teeth and fillings; bone damage from a tooth infection or cyst; bone loss due to periodontal (gum) disease; developmental defects; some types of tumors; the effects of trauma; and the position on unerupted teeth in children and adults. Dental x-rays can also reveal bone loss from periodontal (gum) disease, locate tarter build-up, find foreign bodies within the gum or bone, and see if there is enough bone for the placement of dental implants. Finding and treating dental problems at an early stage can save time, money and unneeded discomfort and help prevent more serious health problems. We tailor a treatment plan to your finances, altering the ideal treatment as much as possible to help you afford it. If we can be of help, please do hesitate to call, email or make an appointment to be seen.